I’ve been participating in races for several years now; I love to run 5K’s to support a great cause, the Broad Street Run is permanently on my calendar the first Sunday every May, and I even have a half marathon under my belt and look forward to many more. This past weekend, my family participated in the first annual St. LauRUNtius 5k to support St. Laurentius School. Since we live on the same block as Fishtown’s only Catholic school it was extra exciting for us and the positive energy was contagious. The busy corners of our neighborhood were lined with volunteers that not only helped direct runners and walkers along the route but also supported participants with encouraging cheers and chants. As I crossed the finish line I felt a huge grin form across my face, not because I completed the course, but because Berks Street was filled with our neighbors and friends applauding each runner racing through the final stretch. I had even more to celebrate when I discovered I was among two award winners: my younger brother placed first and Joe received an alumni award for being the first St. Laurentius graduate to cross the finish line. I have to admit, running does not come as naturally to me as my loved ones who leave races with ribbons, medals and trophies. For me, running is a healthy activity that allows me to indulge every now and then, and I make sure I reward myself after each race. I may not have won an award, but I felt like a winner with this Beer Macaroni and Cheese. Boil a large pot of water, seasoned with salt. Cook macaroni until al dente and set aside. In a large saucepan, melt butter over medium heat. Add flour and whisk; continue whisking until the mixture turns golden and bubbles, about two minutes. Add milk and beer, stirring constantly. Cook for about five minutes until the mixture begins to thicken slightly. Reduce heat to low and add cheeses by the handful, stirring to melt and incorporate. When cheese is completely melted, add paprika, mustard, salt and pepper. Pour sauce over pasta and stir to distribute. Top with green onion and serve. 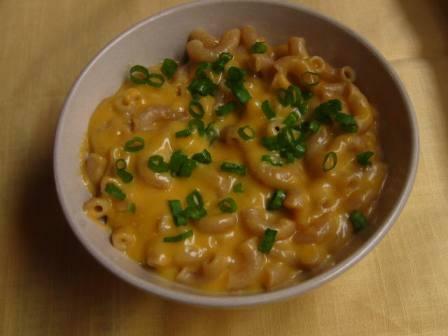 This recipe exemplifies what I think is perfect macaroni and cheese: decadent, gooey, and quick. The cheese sauce is first created by producing a roux with the butter and flour, which is then thickened and flavored by the milk and beer. This combination becomes the base that holds the cheeses together and it coaxes them into slowly melting together. Extra sharp cheddar is practically a necessity, but you could replace the Gouda and mozzarella with any cheese you like. I felt the mozzarella was mild enough in flavor as to not overpower the other cheeses, yet the texture contributed to the gooey final product. The smoked Gouda was the most apparent flavor in the end, and its ratio to the cheddar worked perfectly. The green onions add color and a fresh kick to the otherwise indulgent dish. Any calories burned off at the St. LauRUNtius 5K were quickly restored with one bowl of this beer mac and cheese. Not that I’m complaining; I’ve come to terms with the fact that I run so I can eat. This recipe will ensure I log some extra miles this week. 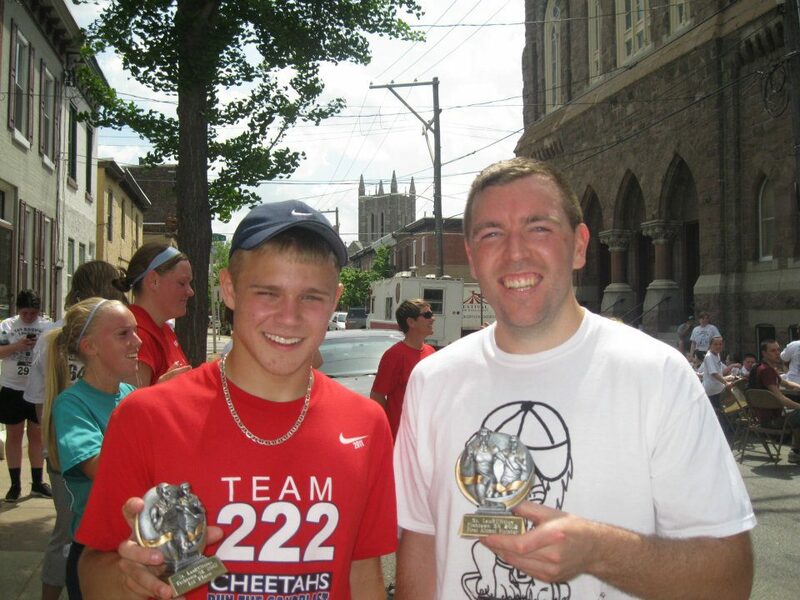 My brother and future husband, both winners at last weekend's St. LauRUNtius 5K. Ironically, neither of them eat cheese and are surely missing out on the best post-race comfort food.